A protein skimmer is an type of aquarium equipment is commonly used or installed in the maintenance of a saltwater aquarium. It is specially designed to be compatible with aquariums with saltwater for the removal of proteins, dissolved organic compounds (DOC), and other harmful substances from the aquarium before being digested by the bacteria. This results in the slowing down of nitrate build-up, extension of water changes intervals, and prevention of algae build-up. Your tank will have more oxygen available to its inhabitants after the protein skimmer removes wastes before it gets consumed in the biological process. The protein skimmer is essential and effective for a saltwater aquarium but not the same can be said if it is used in aquariums with freshwater. Fresh water doesn't have as much protein compared to saltwater which is why foam build-up isn’t that much. It doesn’t have any negative effects on freshwater fishes or your tank. The protein skimmer just won’t do much to improve the quality of the freshwater aquarium’s water. In conclusion, protein skimmers are filters generally best suited for saltwater environments. It is important when it comes to setting up and maintaining saltwater aquariums such as the fish only setup, in which the fish only with live rock or (F.O.W.L.R.) or reef tank setups. 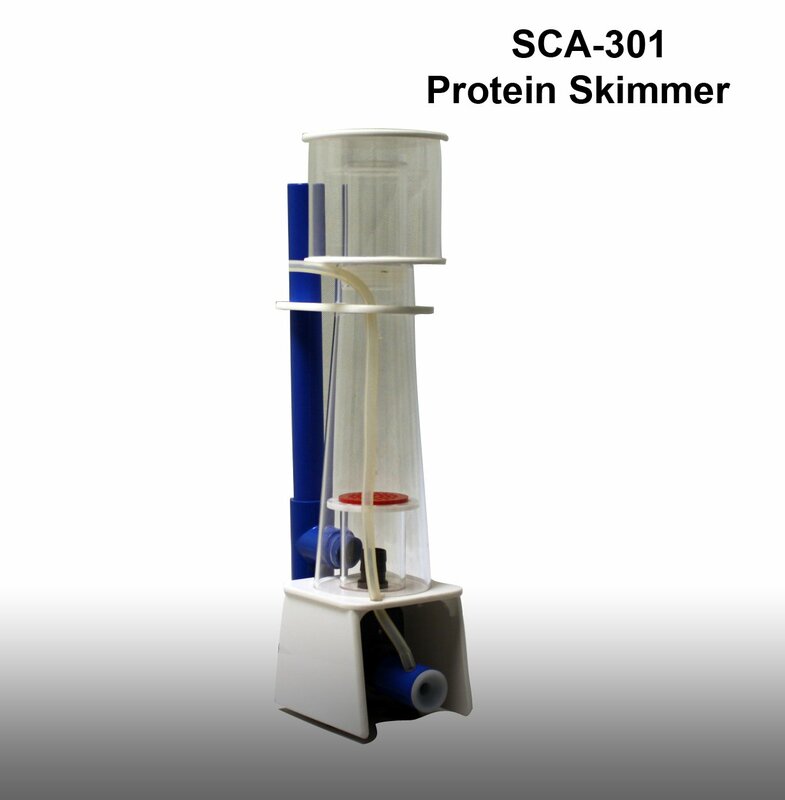 The protein skimmer is also known as a foam fractionator. A protein skimmer removes harmful organic and inorganic compounds from your aquarium before they decay and become ammonia and nitrate. It also removes dissolved organic compounds. It maintains and corrects nitrate levels. Protein skimmers remove waste from fish, plants, and invertebrates. A typical protein skimmer is cylindrical or conical. It produces fine air bubbles that serves as an adsorbent. These air bubbles attract waste that rise to the top and then forms into foam. The foam that the waste sticks to is collected in the skimmer’s cup and removed. The collection cup of the protein skimmer must be cleaned regularly. It lowers the nitrate level of your tank by preventing excessive nitrate buildup. It is ideal for reef aquariums since it helps lower the nitrate level which results in healthy corals. It removes biological toxins from the tank. It reduces aggressive algae bloom. It reduces carbon dioxide buildup. It improves and increases the oxygen level of your tank which is great for the health of its inhabitants. There are plenty of benefits offered by a protein skimmer. You can still have a tank without a protein skimmer but you will have to do frequent partial water changes to avoid algae issues. This will require more effort and time on your part. A Protein skimmer can save you from all that tedious work. The air source and foam separation area. Co-counter flow systems – air is introduced at the bottom of the skimmer body and comes in contact with the water as it rises towards the collection cup. Counter-current system – air is forced into the system under pressure and moves against the flow of the water before rising towards the collection cup. The different variations are the pin-wheel, needle-wheel, and the mesh-wheel. Venturi - a venturi valve which is situated in the intake tube is used to mix in air with the water. Needle Wheel – a spoked wheel is used which spins and chops up the incoming waterand produce fine bubbles. Spray Induction – a spray nozzle creates fine bubbles as the water is forced into it. Downdraft and Beckett – it mixes air and water to create bubbles. The two most common types of protein skimmers are the Hang On Back (HOB) skimmer, which doesn’t take up any tank space and can be hidden behind the tank with a background, and the In Sump skimmer, which can be placed in your tank. The Bubble-Magus BM-Curve 5 protein skimmer offers advanced features. Installation is easy with this product due to its compact design. It boasts of an internal pump that can perform its functions with efficiency. This protein skimmer is compatible with tanks up to 140 gallons. 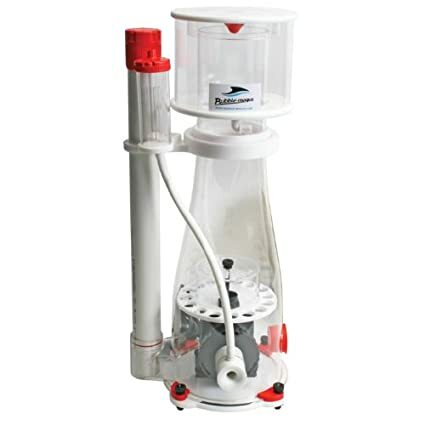 Other features of this product are its needle wheel pump that produces just the right amount and size of air bubbles, a bubble plate that reduces turbulence created in the reaction chamber, a skimmer body that is curved which allows the foam to smoothly rise to the collection cup, and an air silencer that keeps the skimmer running quietly. Cleaning and performing maintenance on it will be an easy task since it has a quick-release collection cup and a collection cup drain. Pulls skimmate almost immediately. Visible results follow within a day. Fits well in the sump. Includes a drain plug that helps with easy draining while the sump continues to run. Can be sensitive to depth changes. The Reef Octopus Classic 100-HOB Protein Skimmer is a hang-on back skimmers. If you want to save tank space, then this one is for you. It is capable of filtering aquariums up to 105 gallons. 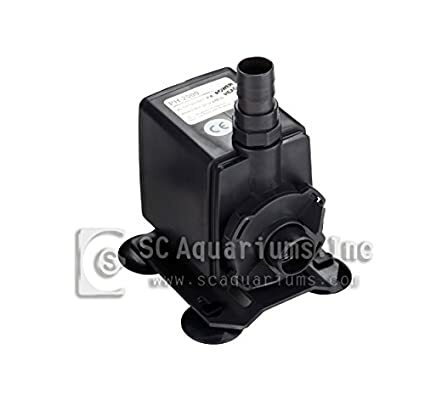 The pump is easy to install and also easy to operate since you just need to mount it inside your aquarium. It is equipped with an efficient pinwheel pump. The surface skimmer is also adjustable. This product is made of high-quality acrylic material. This product gets the job done by producing an ideal mix of water and air for superior waste removal. Immediately starts cleaning the tank after installation. Delivers good results and crystal clear water. Works in sump or hang on. Requires adjustment as the water volume decreases with evaporation or increases with water changes. Collection cup can be hard to clean. The SCA-302 180 Gallon Protein Skimmer is best suited for saltwater aquarium tanks up to 180 gallons which makes it ideal for large tanks. Its removable cup makes cleaning simple and easy. It features a powerful needle impeller pump. This product is compact in size and has a compact design so it doesn’t take up much space. You won’t be having problems with compatibility since it fits most sump. Another good thing about this product is that it also comes with a 1-year manufacturer warranty on the skimmer body while it has 90 days limited warranty on the pump. Immediately starts skimming after installation and pulling thick skimmate efficiently. Creates a wall of white foamy micro bubbles throughout the skimmer. Has a good and compact design Runs quietly. Inlet to the silencer’s is not of high quality materials. Collection cup is tight-fit and hard to remove for cleaning. Water level adjuster is not user-friendly. Skimmer drain hose is short and replacement can be hard to find. The SCA-301 protein skimmer by SC Aquariums is designed to work for saltwater tanks up to 65 gallons. It has a sleek and compact design which is good for aquariums that lack additional space for equipment. It includes a collection cup that comes with a drain tube, an air silencer for smooth and quiet operation, and a removable cup for convenient cleaning and maintenance. Its pump is powerful enough to perform its functions. This product comes with a limited manufacture warranty that is good for 1 year. Works great on smaller tanks. Good performance for its price. Issue with pump rattling and needing replacement. 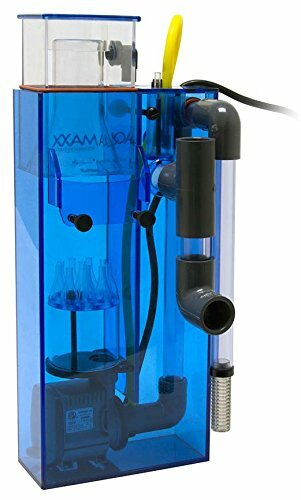 The AquaMaxx HOB-1 Hang on Back Protein Skimmer is another hang-on back protein skimmer that features a collection cup that is a responsive and submersible pump that is powerful enough to cater to tanks up to 50 to 75 gallons. If you have a nano tank or any saltwater aquarium that is smaller in size, you can get this protein skimmer since it has a thin design. This protein skimmer effectively creates a mix of small air bubbles and turbulent water movement to enable protein, waste, and other materials into go to the collection cup. Maintenance and cleaning doesn’t require tedious work since it is equipped with a removable collection cup. The skimmate can also go to a separate container since it has a drain for fitting. This product runs with reduced noise. Water level stays constant in skimmer regardless of tank water level. Produces bubbles and thick skimmate immediately. Noticeable difference in water quality immediately. Continues production of large amounts of microbubbles, however, microbubble stopper is not included and sold separately. Issues with mounting brackets snapping. From the list of the top-rated protein skimmers in the market, we recommend the Bubble Magus BM-Curve 5 Skimmer for its high-quality materials and great performance. Its features are easy to understand and use. It’s a good protein skimmer and is very funtional Protein skimmers are important for reef and marine aquariums. However, some aquarium owners neglect this important step.. Corals, reefs, marine and freshwater fishe will benefit from having a protein skimmer. Check out the right protein skimmer for you and get a clean, healthy, and beautiful aquarium. You also need to read our review about best ph meter.